What is that? Is it Spring in the air? Or maybe a spring in your step due to the great weather and the beautifully colored flowers. 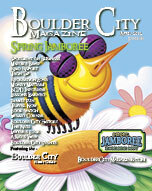 This has got to be the best time of the year in Boulder City and I’ve got a great way for you to celebrate…Spring Jamboree 2012! 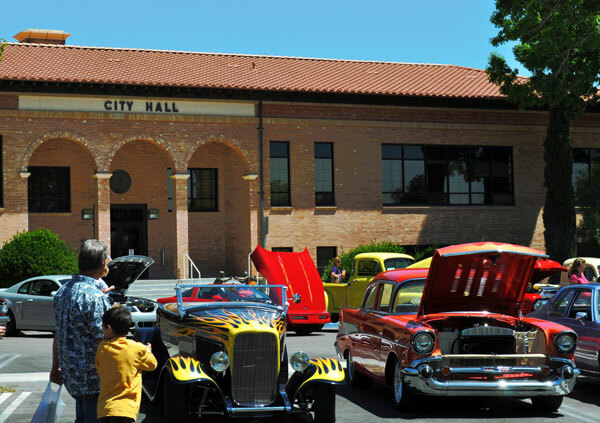 I can’t think of a finer time to join your friends and neighbors in the clean, green parks of the Historic District and enjoy warm sun, great entertainment, fun carnival rides, festival food, talented artisans, and stunning hot rods. There are so many activities that are now associated with Spring Jam, I’m not even sure where to begin. How about Friday, May 4th? That seems to be the best place to start. As you drive by the government parks area, you’ll see quite a buzz as we begin the tremendous job of setting up for such a large event. It’s always interesting to watch our beautiful lawns transform into marketplaces, stages, rides and car displays. Entertainment at center stage begins at 9am on Saturday, May 5th and won’t stop until we’re popcorn stuffed that night! There will be a special treat for those of you that love to spend time with your family watching movies. Dr. Eldon Clothier has graciously sponsored the Movie in the Park night for three years now and we’ll be showing Puss In Boots this year. So, join us at the gazebo in Bicentennial Park with your blankets and chairs. Food vendors will be open and selling their items including popcorn and drinks. There will be many locals performing and of course the traditional Little Miss and Mister Contest sponsored by the Boulder City Ballet Company and the beloved Bark in the Park with proceeds going to See Spot Run. 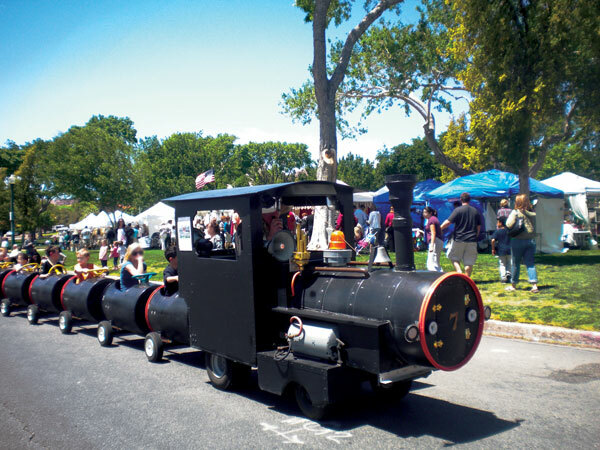 When you’re not watching the stage you can enjoy the exhilarating rides, strolling through the arts and crafts, antiques in the park, Pandraggers Rod Run Car Show and participating in the new “Paint a Dumpster” program. This year we’ve invited everyone to fill out an application in advance (available at the Chamber) and come and paint the side of a CLEAN dumpster that will be displayed here in Boulder City for one year. You might even get to witness a piece from an “up-and-coming” artist. Every year each of these fun events get bigger and better. And the best part of all is strolling through is FREE. I can’t think of a better way to enjoy spring in BC than a fun, family festival in the park. Sunday will also be an amazingly full day of entertainment and fun. It’s my favorite time to walk around the Old Town area and visit with the merchants and restaurants. You can often see great sidewalk sales and enjoy a few minutes on a shady bench while people watching as our guests enjoy Boulder City. This year will be the 35th Annual Spring Jamboree and the Chamber’s 80th year in business. We’re grateful to be a major business support system and assistant to so many wonderful community events in Boulder City. Thank you for doing your part by not only shopping local with our members, but also by participating in all the special events in our community. Events bring tourism, tourism brings revenue, and revenue means a healthy economy for BC. 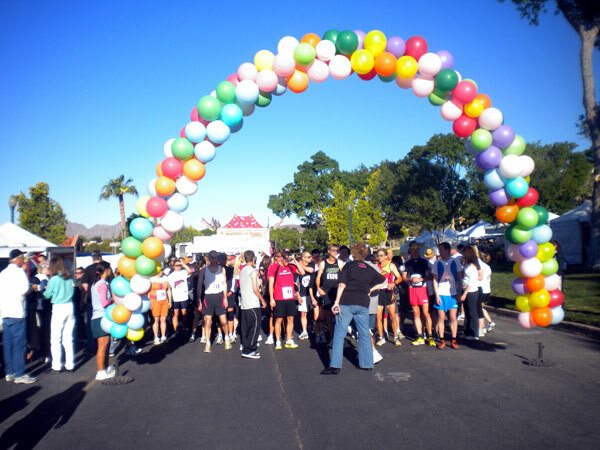 Have a sensational Spring and we’ll see you out hopping about in beautiful Boulder City. "It is really more of a 'show' than 'sale,' as I tend to love these spectacularly restored treasures a little more than anyone else...but at least you know there's not a big sales pitch here!" smiles collector and Back in Thyme Antiques shop owner, Glena Dunn. Since last year, according to Dunn, there has been a surge of interest in restoration in general, primarily because of the American Restoration show, a local production for the History Channel. Footage filmed at last year's pedal car show has aired numerous times, bringing national exposure to Boulder City's annual Spring Jamboree. For restoration, Dunn will be beefing up what has been a small 'boneyard' for do-it-yourselfers and now pickers hoping to get on the show. She will also have a free step-by-step instruction guide for home pedal car restoration projects. 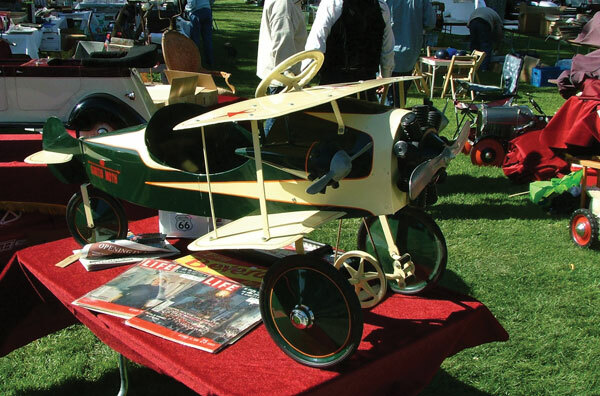 The 'main event' however, will still be the 'show-stopping,' beautifully restored pedal cars, tractors, planes, boats, and trains; all are originals dating back to the 1920's. Don't even mention the word 'reproduction' at this show! Also new this year, will be colorful postcards, posters and calendars featuring the rarest of this collection of juvenile vehicles from days gone by. "This year we will have a version everyone can afford to take home," Dunn is happy to announce.